Due to popular request, we are now making and selling our very best and very fresh macarons here at Paris International Cooking School. We currently do not have flavour of the week. 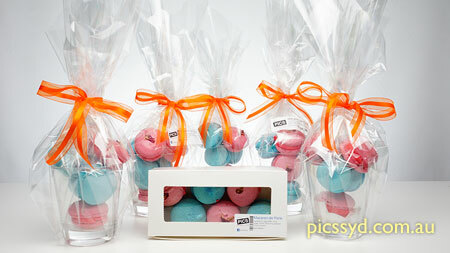 If you wish to have special macaron, contact us regarding your preferred flavour and colour. We take orders. All of our Macarons and fillings are handmade and piped from one set to another. Therefore, excuse us for being unable to produce 100% identical looking macarons (like other machine made ones). All our Macarons and fillings are made with fresh ingredients, therefore they can only last for a few days after purchasing them (please refer to best before date on each packaging). Fresh ingredients we used are: nut (almond) powder, sugar, egg white, butter, food colour and flavours. want to make your own macarons? BTW, what we sell are called “macarons” not “macaroons”. Albeit many shops misspelt the name when they actually sell “macarons.” There's a difference between macarons and macaroons. 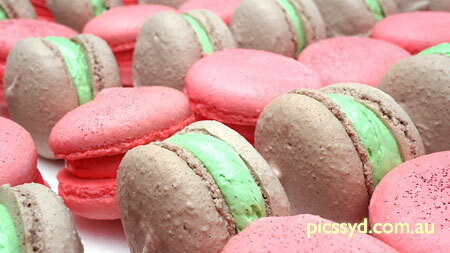 Please see Macaron vs Macaroon page for detail.